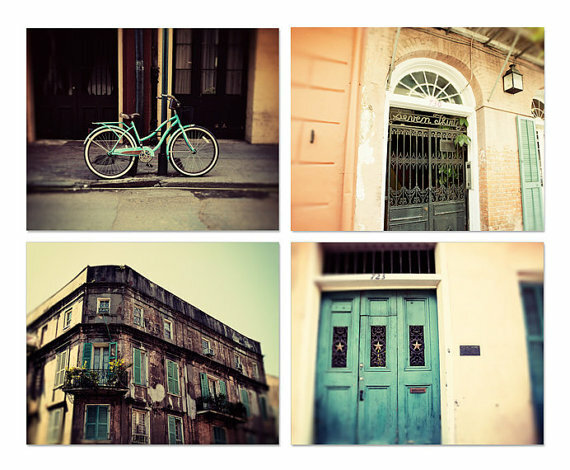 The home of Mardi Gras, this beautiful collection includes four photographs of the Big Easy. New Orleans is one of my favorite places to visit. Select PHOTO or CANVAS and size from the drop-down menu. 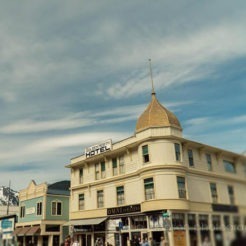 All photographs are printed on archival paper with a luster finish. Frame and mat shown are for illustrative purposes only and are not included. Canvases are ready to hang with pre-installed hardware. They are 1.5 inches in depth and finished with black backboard on a wooden frame. Depending on the image, your canvas may have mirrored or image wrapped edges. All canvases are printed with pigment ink for fade resistance and finished with a clear acrylic coat for protection. The resolution has been reduced for web viewing purposes. Your purchased print will be a high resolution copy. Watermark will not be on final image. Due to varying monitor displays, colors may appear slightly different than onscreen. Photographs ship in 3-5 business days. Canvases ship within 1-2 weeks. Most items ship via USPS. Canvases will ship with FedEx or UPS. Tracking is provided for all US & Canada orders. Pillow covers are made to order and shipped directly from my lab. Please allow at least 3 weeks to receive your pillow. International orders may take longer. International orders: Please allow 6-8 weeks to receive your order. The tracking number will be provided but once your package leaves the US, it is up to your postal service to track. Due to the custom nature of my items, I am unable to accept returns on canvases, pillow covers and any photograph larger than 11×14. If your items arrive damaged, I will replace the item at no additional charge. Please contact me with in 5 days of receiving your order with a photo of the damage, and I’ll be happy to send a replacement. Erin Johnson is a fine art photographer based in Enterprise, Alabama. She loves to photograph landscapes, barns, horses, flowers, the beach and more. She also loves to travel. Sign up and stay up to date on special offers, news and brand new work. Your e-mail address is never shared. You will receive a confirmation message that you’ll need to reply to in order to be added to the list. or just send me an email if you have any questions!